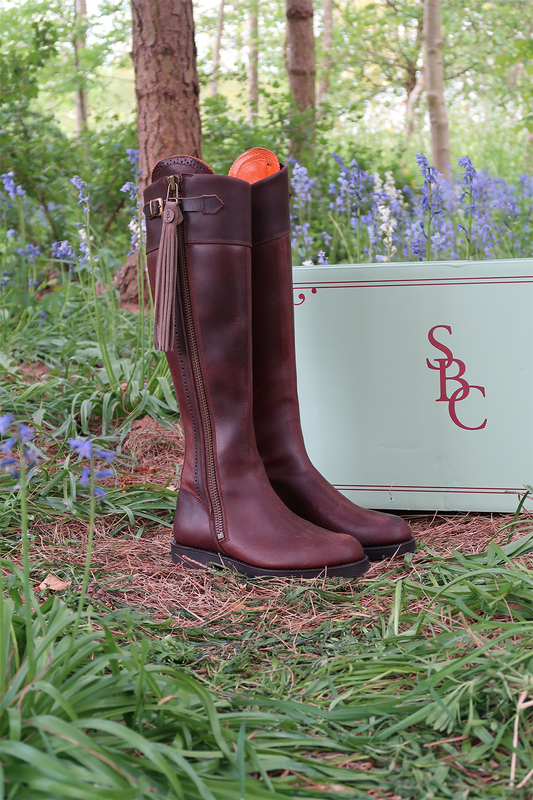 Righty ho... Where to begin with these beautiful boots?! I gave them a little mention here, and I've been wearing them HERE, HERE, and HERE. Let's just say, I've been wearing them... A-L-O-T.
As you (may be very well aware, I keep waffling on about it at every given opportunity ha!) I'm a Style Advocate for The Spanish Boot Company. 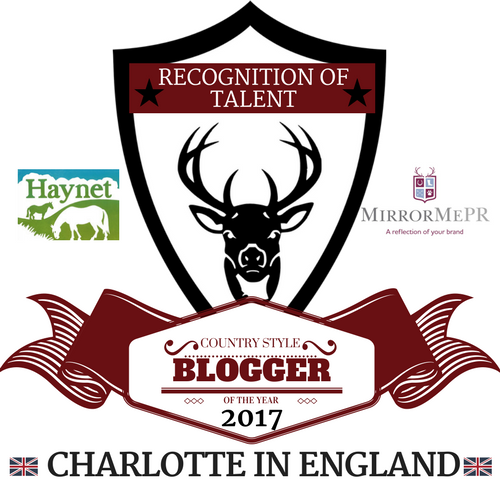 I recently went to Norfolk, Norwich on the East coast of England and did a Social Media Take-over for SBC at The Royal Norfolk Show - See & read more HERE. They are worth every single penny. 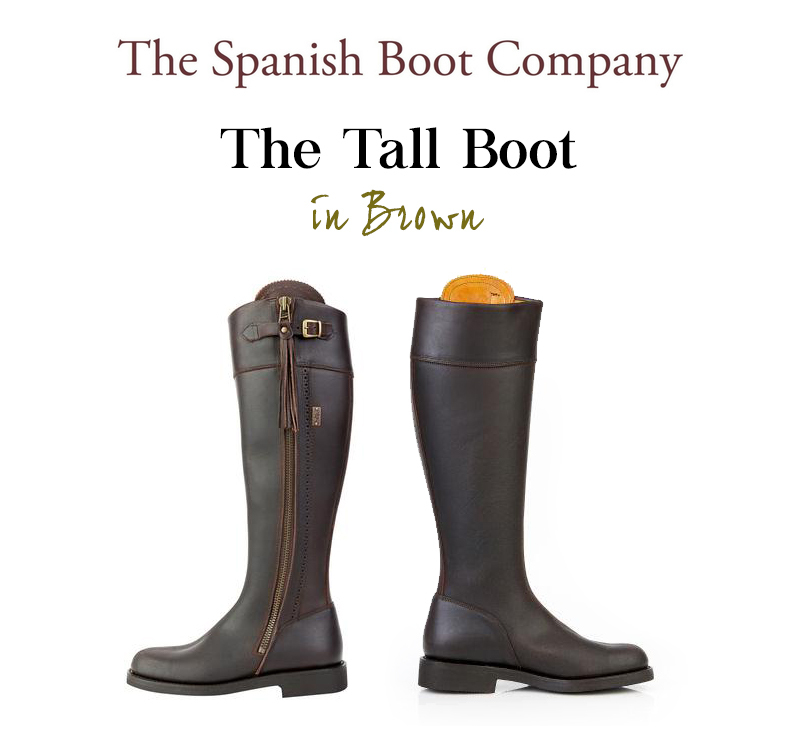 Who are The Spanish Boot Company? 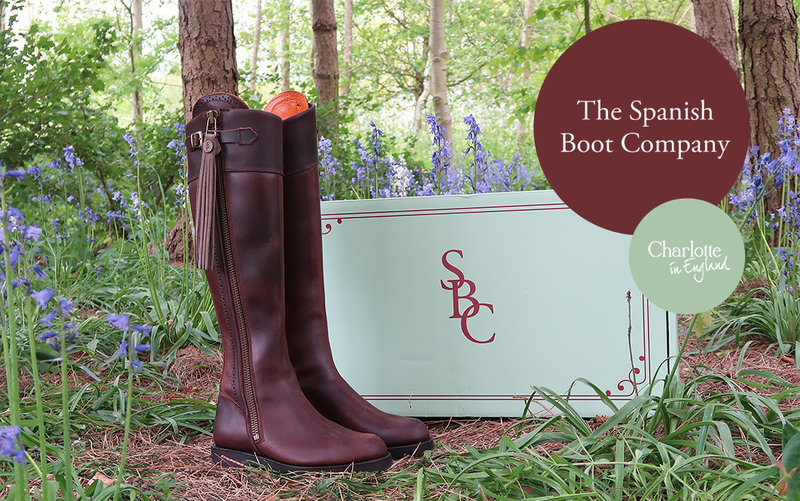 "Where it all began ... After a summer working at a stable yard in the Algarve, Portugal, I received so many compliments from many British clients for a pair of Spanish Riding Boots I had purchased locally. This prompted me to make a small detour on my way home to Valverde del Camino, southern Spain to pick up a few pairs of these fantastic boots. 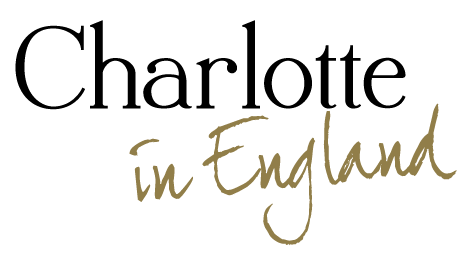 My overall aim is to provide the British market with good quality Spanish merchandise at affordable prices. 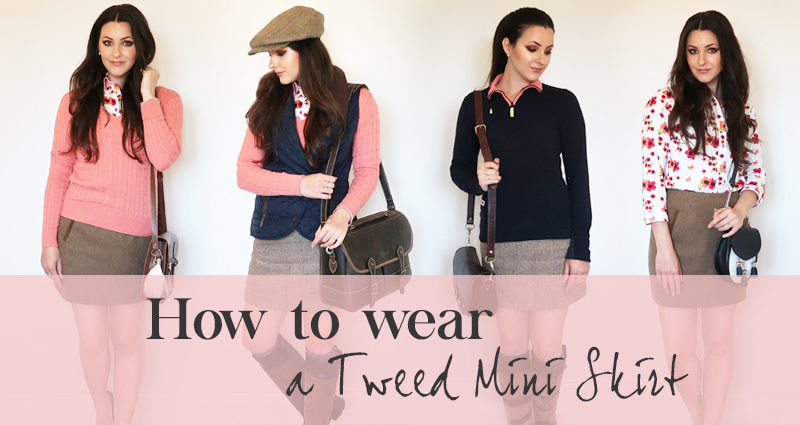 I have already expanded into stocking a selection of styles and plan to increase my range where possible. 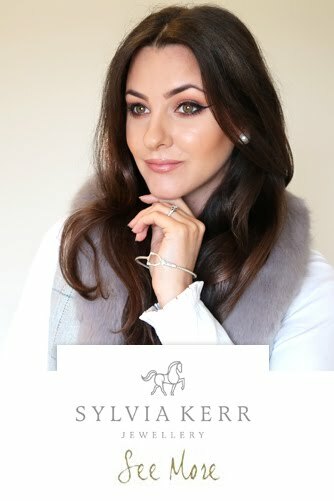 Customer service is high on my list of priorities whilst establishing SRB Valverde and I also offer a made to measure service." N.B. It is recommended to wax these boots to keep them water resistant. The wax that comes from the factory is available in accessories if you don't have anything suitable already. 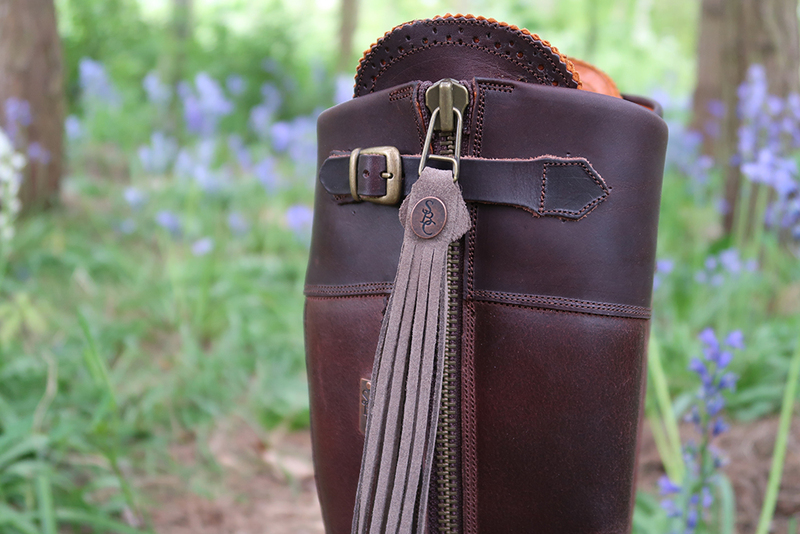 "Great for town and country these boots can take you anywhere." It is recommended to go DOWN a size. I am normally a size 4 (EU 37, US 6) but I actually wear a size 3 (EU 36, US 5). They fit perfectly. I just wanted to give you a heads up before you buy them. 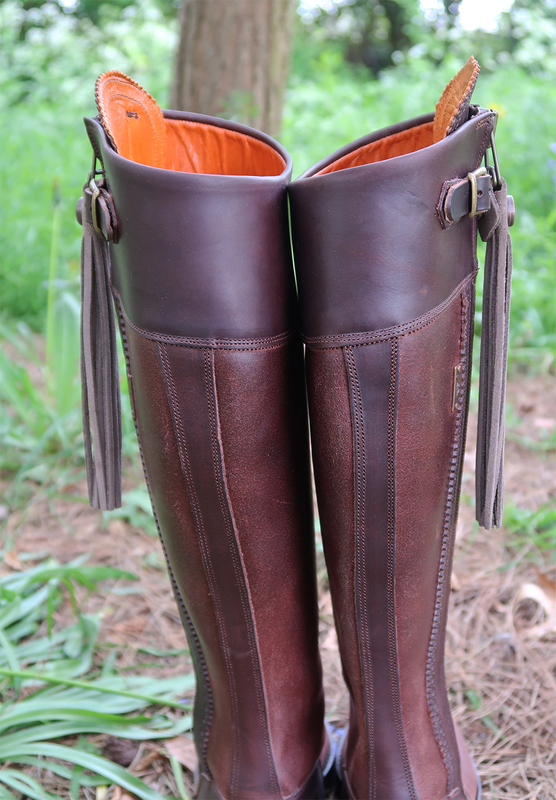 The sleek, elegant silhouette of the boot is very flattering on the legs. The boots are made from leather. They have beautiful leather brogue detailing down the outside panel - a gorgeous touch and really finish the boots off nicely. They obviouslyyyy have leather tassels (I think tassel needs to become my second name) which are interchangeable in an array of beautiful colours HERE. They draw the eyes up to the beautiful buckle too. 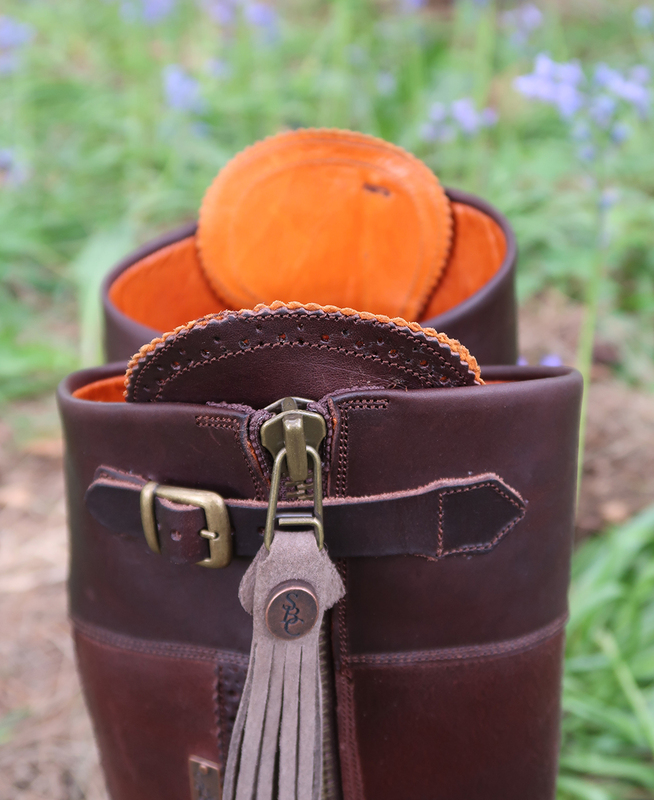 I've paired my boots with the Stone coloured tassels. 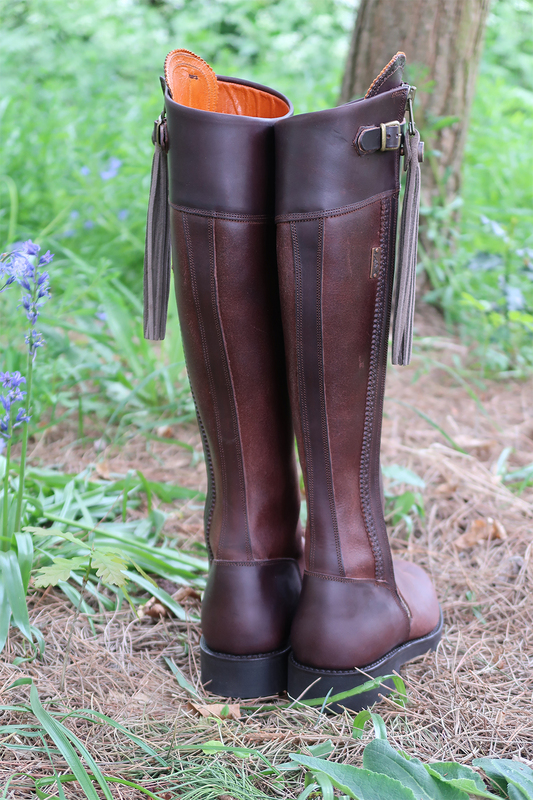 The top of the boots features the scalloped lip detailing which I think is super flattering and adds an equestrian touch to the boots. They even look great on bare legs. They have a buckle at the top which again, I think finishes the boots off brilliantly. The flat sole is rubber but don't be put off. The sole is not slippy like leather soles (I do love a leather sole) and I was quite shocked to say I actually really like the flat sole as opposed to the tread sole. 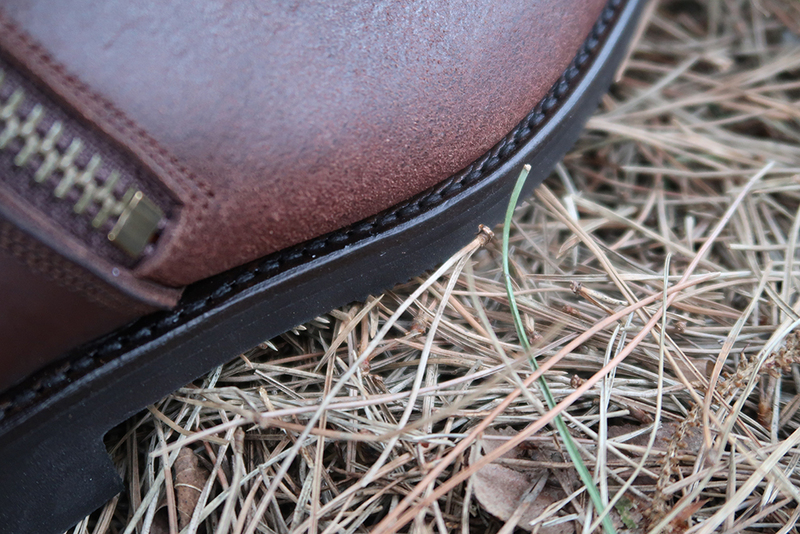 There is a time and a place for tread sole boots. 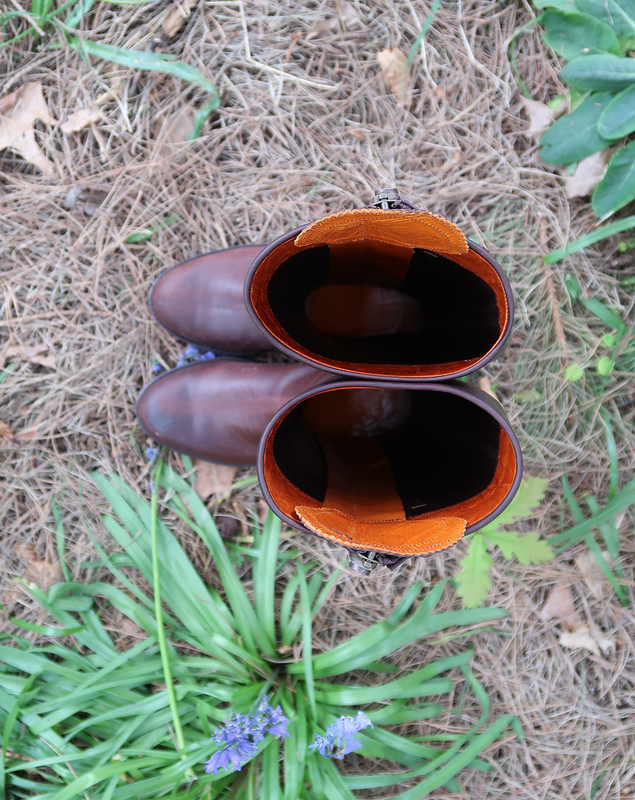 Great for outdoors and wet weather but my other tread sole boots collect so much dirt which can be rather annoying (especially when you forget something in the house, so you make a mad dash run back to grab it and leave a great dirty trail of mud behind you. And because you're late you don't have enough time to clean it up, so it has to wait until you get home then you have to clean it up as soon as you get home. Which is not the best welcome home present straight after work, although I have had a lot worse but I'll leave that for another day (animals, baby animals)... I'm also guilty of being a mud-bug at work, leaving a trail of mud behind me throughout the whole building - Oops. Anyway enough of the italics). 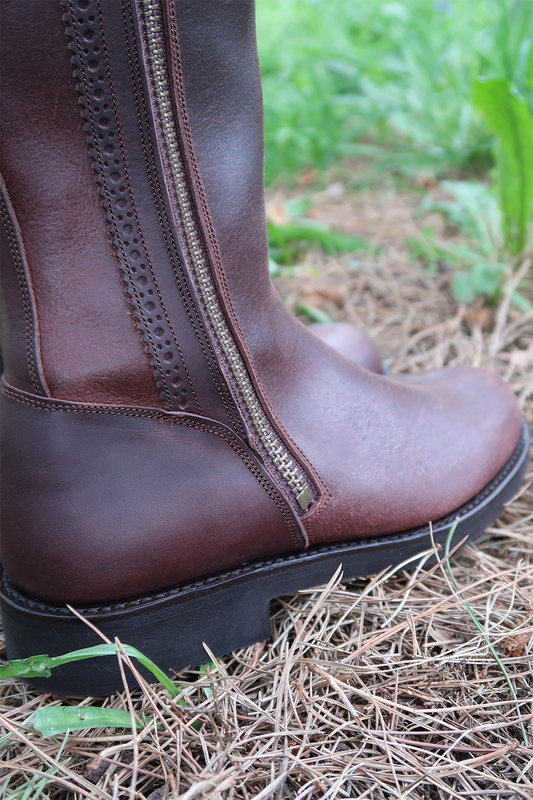 Yes, a tread sole is fabulous for walking, hiking and outdoor adventures where you need more grip and stability under foot but I also love to wear my leather boots to work and out and about, plus I don't always have time (or can be bothered) to thoroughly clean a tread sole. So, in conclusion, the flat sole is amazing!!! Perfect for ladies (they are unisex by the way) who want to wear these boots for everyday activities, not just walking. They do need wearing in like any boots but within 2 days they had moulded to my feet and legs wonderfully. They are the comfiest boots in the world. 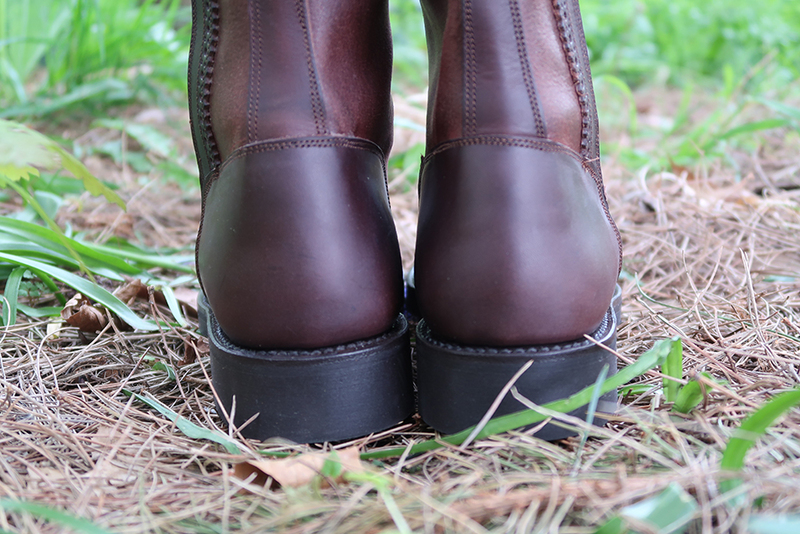 The boots are water resistant if kept waxed (use Sno-Seal to waterproof the leather) It is recommended to wax these boots to keep them water resistant. The wax that comes from the factory is available on the accessories page if you don't have anything suitable already. I can answer this one really easily... They are worth every single penny. Beautiful inside and out. What can I wear them with? The Duchess of Cambridge loves her tassel boots. I have put together a collection of photos (courtesy of The Daily Mail online) showing you how great Kate looks in her leather boots, she's clearly a massive fan of her tall brown flat sole leather tassel boots! As you can see these boots look great worn with jeans, skirts and trousers. I just love everything about these boots. 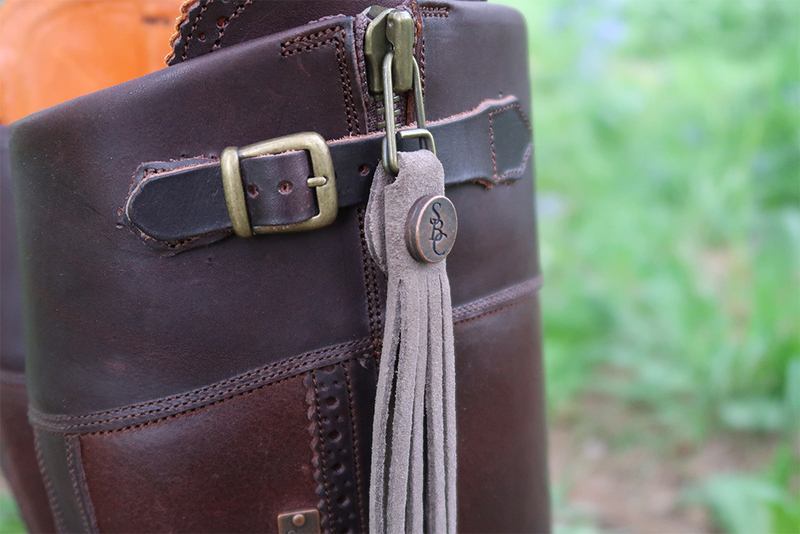 Not only are they comfortable, versatile and practical but they look gorgeous too. 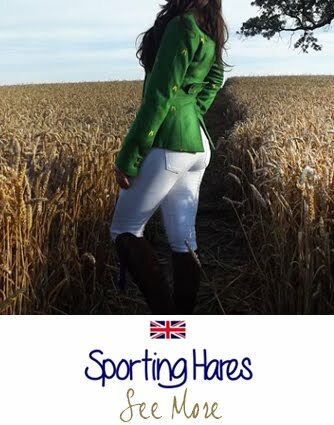 They are flattering, well made and nail the country equestrian style completely. 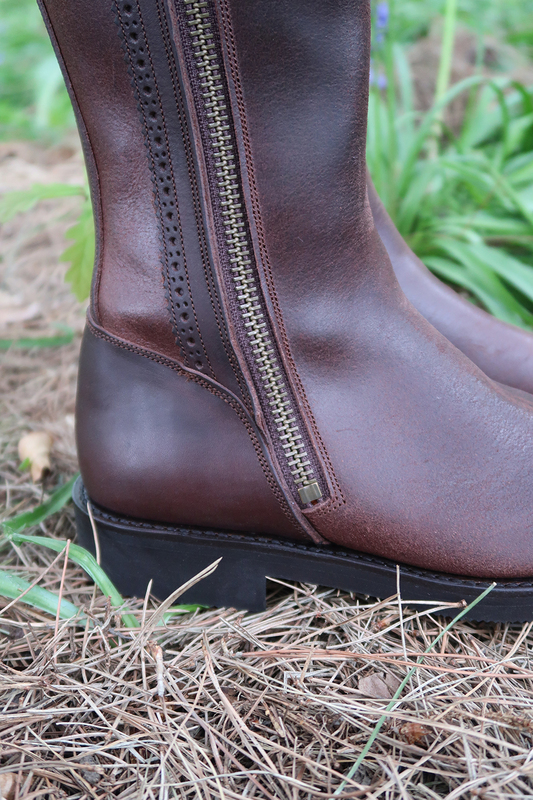 Great for town and country these boots can take you anywhere. I'll wear these boots forever. The quality is fabulous and I couldn't be happier with them. 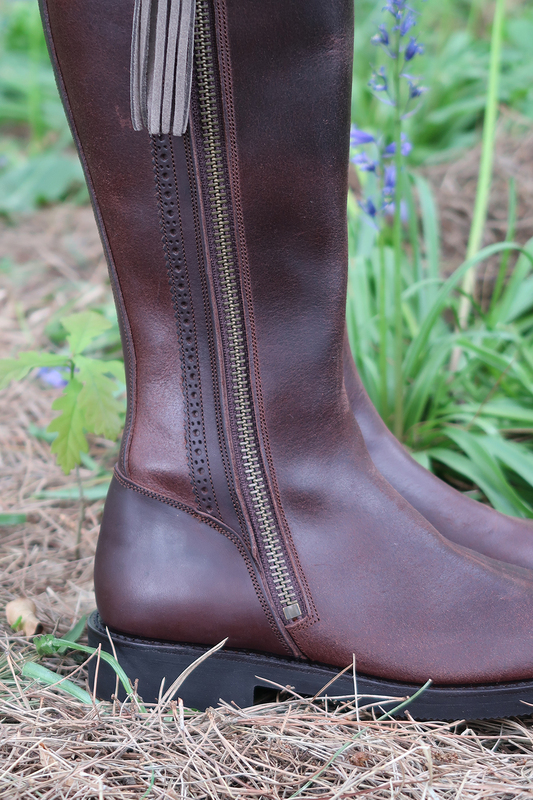 These boots are perfect for everyday activities - riding, worn in the office (I do anyway), the school run, walking the dogs, worn to shows, walking and hiking, to lunch, shopping, exploring... the list is endless! What do you think? 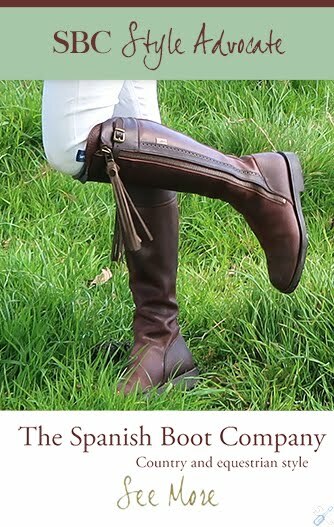 Do you own any Spanish Boot Company boots? Are these beauties on your wishlist? I'd love to know your thoughts. Obsessed! So excited to get a pair for this fall. 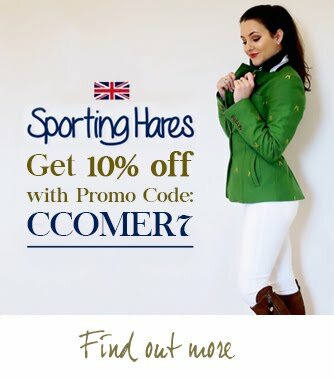 Can always count on you to have the best of equestrian style!